Pivot Point Trading System is a fully automated Expert Advisor (EA) designed for intraday trading on the M15 time frame. 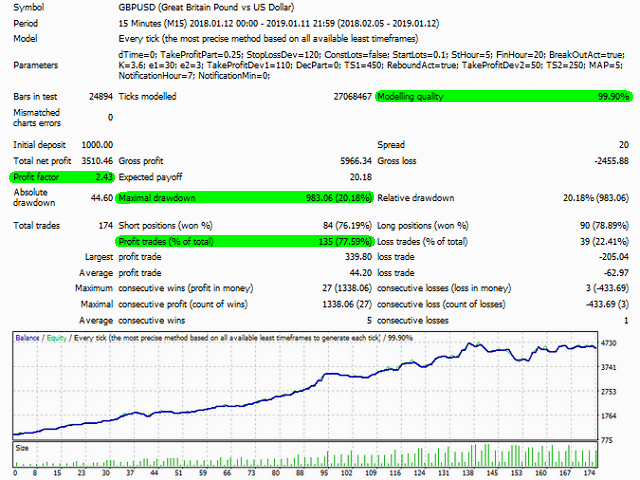 The main currency pair is GBP/USD, however it can be used on other pairs, provided that the input parameters are selected through optimization in the strategy tester. 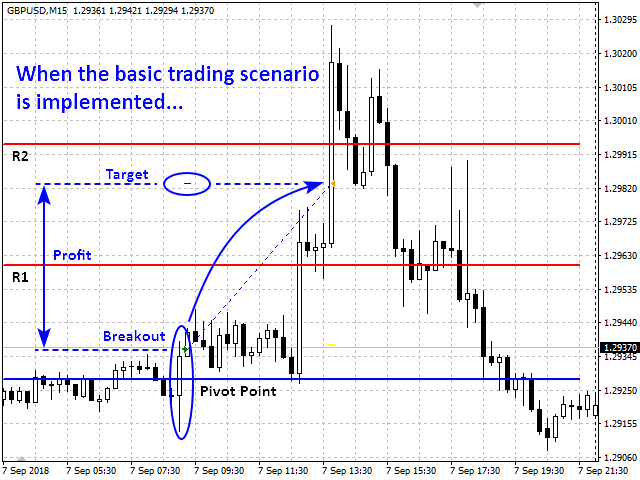 The EA implements trading strategies based on the breakout and rebound from the Pivot Point levels. 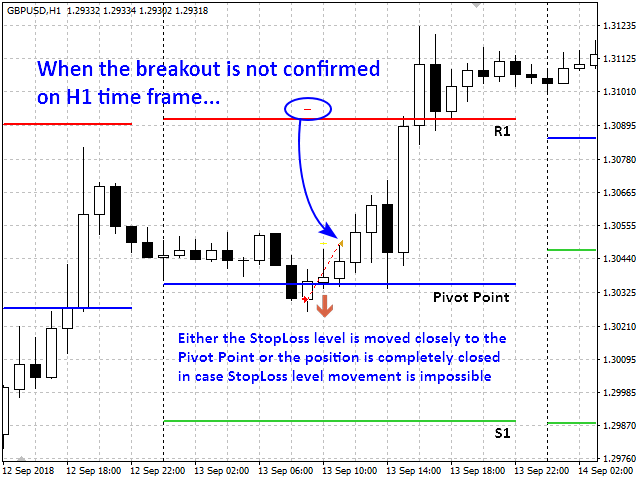 The principle of the EA consists in order opening in the direction of the breakout of the Pivot Point level (with filtering the false breakouts), as well as towards the Pivot Point level in case of the price rebound from other support/resistance levels (R2, R1, S1, S2). Only one order of each type can be opened simultaneously. All orders are opened with StopLoss and TakeProfit. 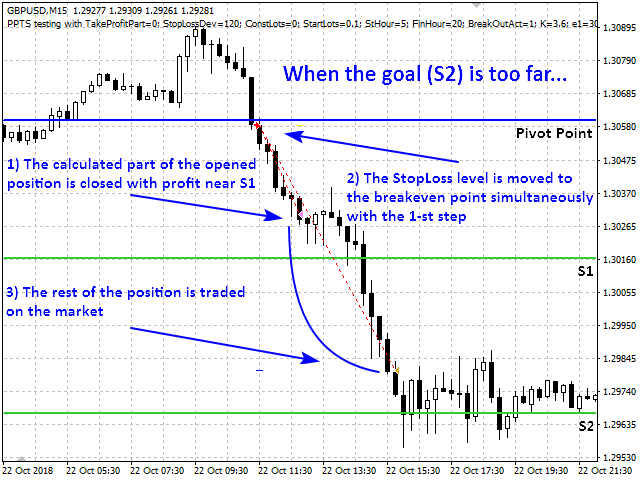 The StopLoss level can be changed through the trading process only in the direction of risk reduction. The order volume can be either fixed (set by the user) or variable (calculated by the EA) depending on the average account balance. The EA implements various tactics of the full and partial close of losing positions until the price reaches the StopLoss level and the full and partial close and the preservation of the profitable positions. Due to the different terminal time set by different brokers from different time zones, formed bars and calculated levels also differ. Therefore, trading results can also be different. In order to avoid incorrect trades the time zone management tool has been embedded to the new version of the EA. 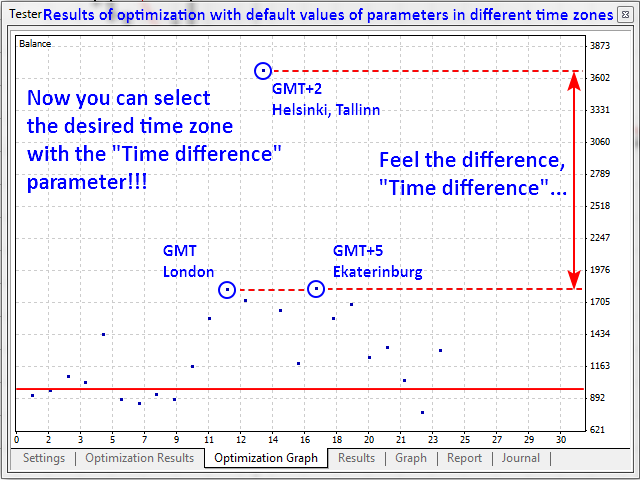 Logic of the tool: Your TERMINAL time zone + "Time difference" = DESIRED time zone. Example: GMT+9 + (-7) = GMT+2. The default values of the parameters have been found for the GBP/USD currency pair as a result of optimization over a long time period. The back tests have been carried out on the quotes of 5-digit brokers with a modelling quality of 99.9%. The best results have been obtained in the GMT+2 time zone. Adaptation for 4-digit quotes has been done. 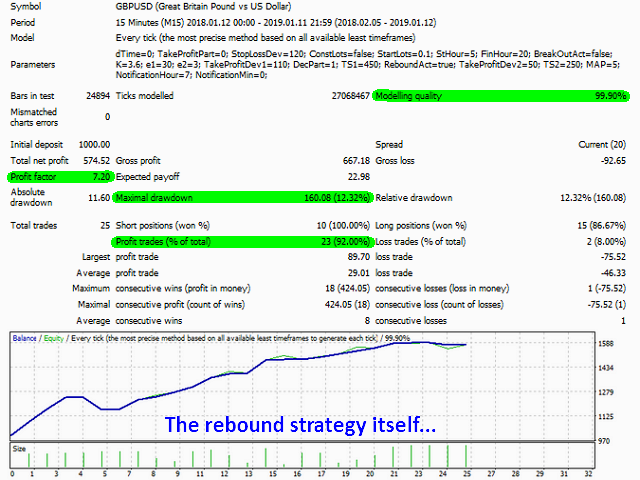 For trading on such quotes, it is necessary to reduce the values of all deviations and trailing stops by 10 times. The new version of the EA proposes special time settings. 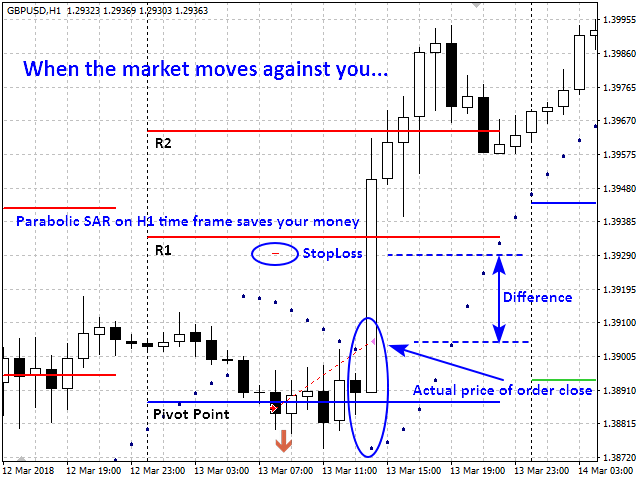 An active time range for trading differs from one currency pair to another. 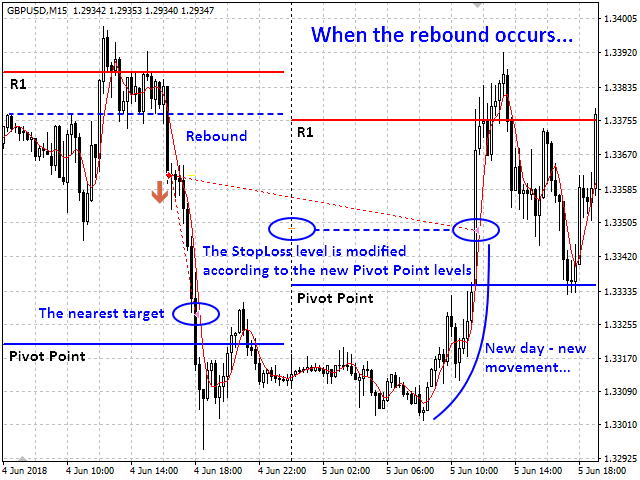 However, changing the settings of first and last hour for a trading time range is not enough. Because of different terminal time set in different terminals of different brokers from different time zones, formed bars and calculated levels also differ. Therefore, trading results can also be different. In order to avoid incorrect trades due to time differences the new tool for time zone management has been embedded to the EA. NOTE!!! “Time range start hour” and “Time range last hour” correspond to the time zone you set, BUT “Hour for message sending” corresponds to your terminal time.